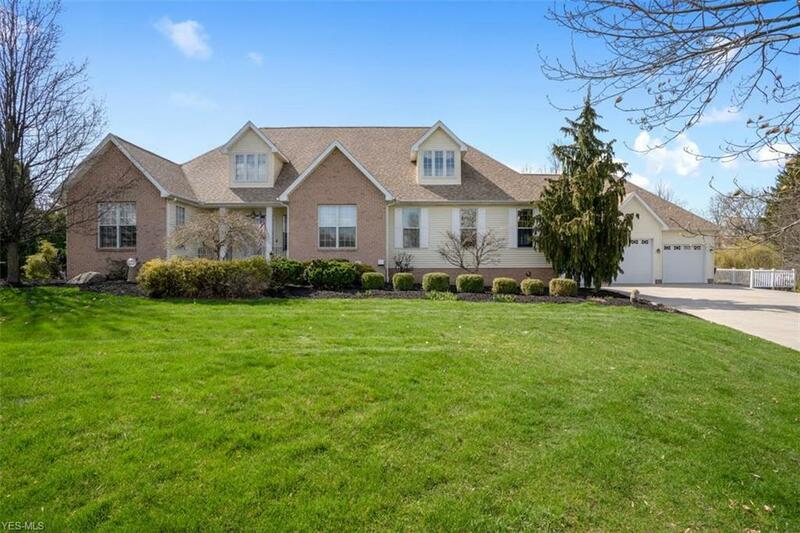 Spectacular Canfield Home looking for a new owner to appreciate all it has to offer. This one owner home shows true pride in ownership. Updated kitchen with gorgeous maple cabinets and granite countertops. Formal living room with gas fireplace. Formal dining room large enough to hold family dinner gatherings. First floor master suite with updated bath including a relaxing soaker tub and separate shower. 2 additional bedrooms and full bath on first floor. The second level has a large bedroom space or can make for a great home office. Expansive multi-purpose bonus room would make for the perfect game room. It is an entertainers delight. If that is not enough, the lower level is completely finished with a second kitchen, family room and additional bedroom space if needed. Screened in summer porch leads to the multi-level trex deck for outside entertaining. Additional features include a new roof in 2018, 3 car heated garage and so much more. Situated on a professionally landscaped lot in the cul-de-sac of a hightly sought after neighborhood. You don't want to let this one get away.... take the opportunity to make this your new Home Sweet Home.